Arthur Ganong "Art" Davis (born November 29, 1934) is a former American football player who played a single season in the National Football League (NFL) with the Pittsburgh Steelers. Art Davis was born in Clarksdale, Mississippi where he attended Clarksdale High School. He received a football scholarship to Mississippi State after missing his entire senior high school football season breaking his leg in the first game. He was voted "Best Athlete" and "Mr. CHS" at Clarksdale High School. At Mississippi State, Davis began his college football career starting for Coach Murray Warmath as a true freshman defensive back in the 1952 season opener against defending National Champion, University of Tennessee. In 1953, Davis was a two-way starter and caught a touchdown pass from Jackie Parker to tie Ole Miss 7–7, knocking the Rebels out of Cotton Bowl contention. In 1954, Davis was voted the Southeastern Conference's Player of the Year (Nashville Banner, Atlanta Constitution) where he scored 10 touchdowns and grabbed 4 interceptions playing both ways. In that '54 campaign, Davis scored four touchdowns against LSU (3 rushing, 1 interception return) in a 25–0 win at Tiger Stadium in Baton Rouge. In 1955, he was named first team All America by FWAA/Look Magazine and voted their National Player of the Year. He was named as the top defensive back and 2nd best running back in the SEC (Atlanta Constitution) that same year. During the '55 season, playing with a separated shoulder and injured knee at Auburn, Davis ran for a short touchdown, passed for a 35-yard score, had a 54-yard punt and made 11 unassisted tackles in a 27–26 loss. He was voted "Mr. Mississippi State" by the students his senior year. As told by longtime Miss. State football announcer, Jack Cristil, in MSU's Alumnus Magazine in 1969 and again in Sid Salter's book, "Jack Cristil: Voice of the Bulldogs" published in 2011: "Arthur Davis to me personifies Mississippi State students and athletes. I knew him when he was a youngster in high school in Clarksdale. Watched him grow up and remember the first play of his senior year as a high school performer. He caught a pass in the flat and broke his leg. This would have broken the spirit of many young men, but not Arthur Davis. He came to Mississippi State as a tremendous performer, earned All American honors as he should have, played in his senior year badly crippled and injured but certainly gave it - as the coaches always say - that 110 percent effort on and off the field. He has been a true gentleman throughout his life ... I've always thought of Arthur Davis as being what I would like to think of as typically Mississippi State in every way." Davis played in the Senior Bowl, Blue-Gray Game (Gray team captain, 2 interceptions) and College All-Star Game. He also ran track and was nosed out in the 1955 SEC Track and Field Championship's 100 yard dash in a photo-finish. His best time in the 100 yard dash was 9.8 seconds. In 2004, he was honored as an SEC Football Legend at the SEC Championship Game in Atlanta, Georgia. Davis is also a member of the Mississippi State Athletic Hall of Fame and the Mississippi Sports Hall of Fame. He has also been named as a Mississippi Football Legend by the Jackson Touchdown Club. Davis was selected in the first round, fifth overall, by the Pittsburgh Steelers in the 1956 NFL Draft. He was limited during his rookie season in 1956 by an injured shoulder which he suffered in the College All-Star Game vs. the Cleveland Browns as well as a knee injury he sustained in college and again with the Steelers. The knee injury would also sideline him for the 1957 season. He announced his retirement from football prior to the 1958 season. After professional football, Davis started his coaching career at Biloxi High School in 1957. 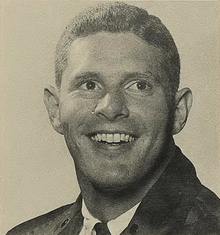 He then became an assistant coach at LSU under Coach Paul Dietzel in 1959 and 1960, and was the freshman coach at Georgia Tech under Coach Bobby Dodd in 1961 and 1962. He was hired as the defensive backfield coach at the University of Texas in 1963, and in that season, under Coach Darrell Royal, the Longhorns won the National Championship and then beat Navy, 28–6, in the 1964 Cotton Bowl. Davis's older brother, Harper, was an all-SEC, four-year starter at Mississippi State and is a 2002 SEC Football Legend inductee. Harper is also a member of the Mississippi State and State of Mississippi Sports Halls of Fame. He played professionally for the Los Angeles Dons, Chicago Bears and Green Bay Packers and was later the Head Football Coach at Millsaps College (1962–1986) in Jackson, Mississippi..
Davis was married to the former Frances Habig of Jackson, Mississippi for 58 years until her death in 2014. They have two children, four grandchildren, and four great grandchildren. He is a relative of the Ganong Bros. chocolate-making family based in St. Stephen New Brunswick, Canada. Art resides in Lake Oswego, Oregon and spends much of his time watercolor painting. 1 2 3 "Art Davis bio". databaseFootball. Retrieved 17 March 2010. 1 2 "Steelers lose Davis already". Pittsburgh Press. July 31, 1957. p. 39. Retrieved 18 March 2010. ↑ "Steelers' Art Davis Quits Pro Football". victoriaadvocate.com. September 5, 1958. p. 8. Retrieved 18 March 2010. ↑ Smith, Chester L. (January 9, 1956). "Art Davis to Hit Main Road". Pittsburgh Press. p. 20. Retrieved 18 March 2010.